This post was inspired by my wanderwoman friend Betchai of The Joys of Simple Life and Breath In Breath Out. I had a fun time choosing photos for colours blue, green, yellow, white and red. 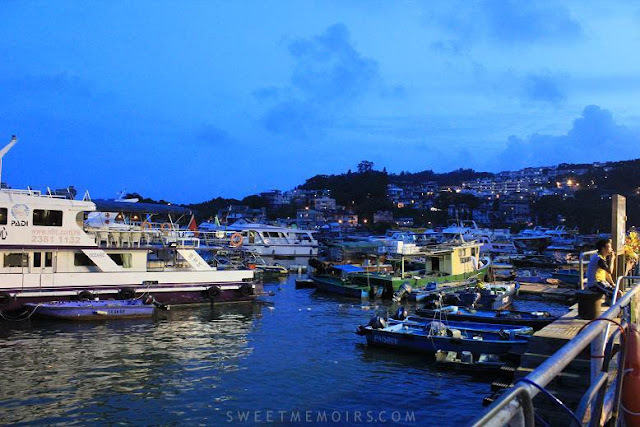 On the first night of our HongKong getaway, my brother-in-law gave us a welcome dinner at a seafood restaurant at Sai Kung seaside. From Disney's Holloywood Hotel, it took us almost an hour to reach the bluetiful place but the fantastic atmosphere and the freshest and tastiest seafood are worth the travel. 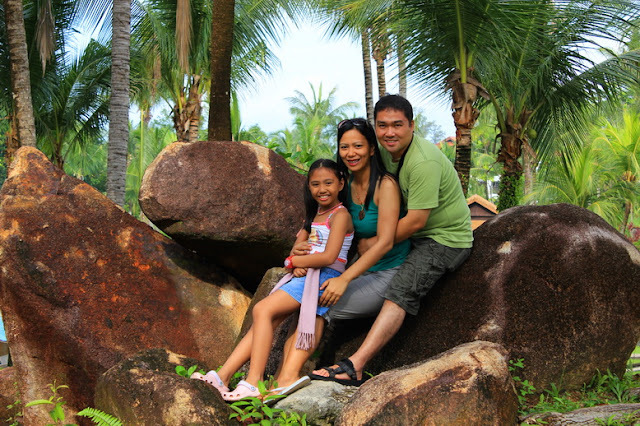 Thanks to our ever reliable tripod, we were able to capture this family portrait amidst Bintan Lagoon Resorts' lush greenery. This has got to be our favourite photo from our Bintan Island Escapade. Isn't it picture perfect? 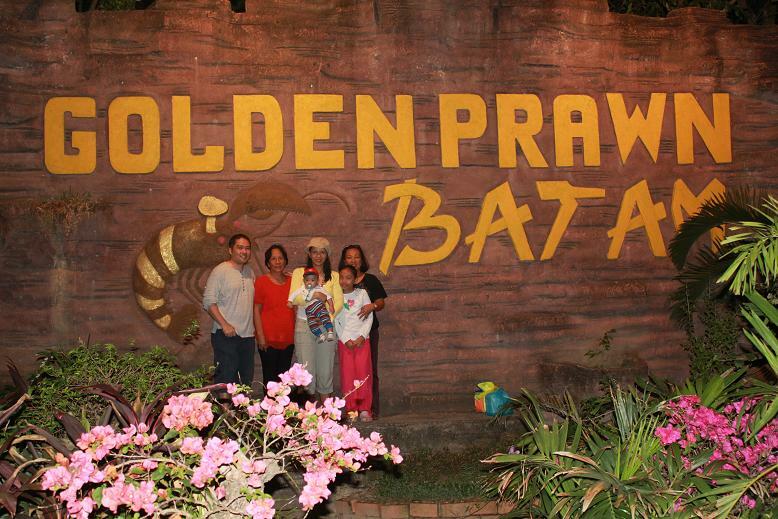 Golden Prawn was highly recommended to us by hubby's Indonesian colleague. It is Batam Island's most popular seafood restaurant. If you happen to visit Batam Island, make sure to include Golden Prawn in your must visit place. It is a place where you can soak yourself to a nice view of the north eastern coast of Batam Island while feasting on freshly cooked seafood. I was wishing to experience snow during my trip to Switzerland but the winter season just started when I was there. 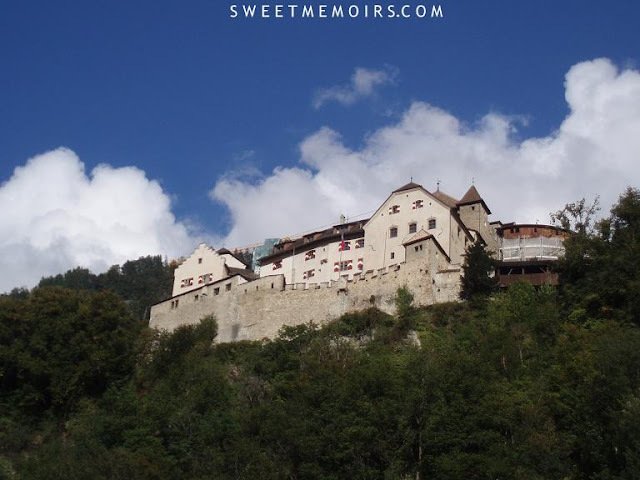 Nevertheless, I still got the chance to see the beauty of snow white cotton clouds atop the iconic Vaduz Castle. It is just one of the many awe-inspiring sights I marveled upon during my entire stay at Switzerland. 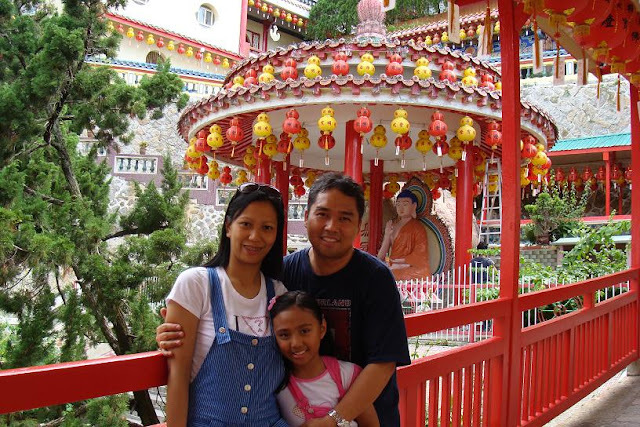 During our Penang Island escapade, we manage to check out Kek Lok Si Temple which means Temple of Supreme Bliss. The temple really spells S-U-P-R-E-M-E B-L-I-S-S. Click here for more photos. oh Che, you started it with a BANG, your blue is so BLUETIFUL, I was about to say I have not seen this yet before, and then, I find out this is from your Disney Trip, so awesome Che. and love your other pictures too, your family portraits really exudes happiness. Thanks for joining Che, and good luck to us :) did you submit the link of your url already to travel supermarket in facebook? I hope you did, thanks Che. Your photos are fantastic, Cher, the next best thing to being there myself! You do have such a beautiful family!! And thank you so much for nominating my blog!! I'm overwhelmed! What a lovely way to end my day!! even my ears are smiling now. i will do try to join this contest.